Church culture and creative are more intertwined than you realize. They feed each other, grow each other and sustain each other. The creative assets, or outputs, of teams in churches across the world see their work affected by the culture they reside in. Even small things, like messaging statements and manifesto videos, have the potential to morph into something bigger — a crafted message that resonates with the community around you. It’s important to be intentional with the efforts that come from a creative team. Question yourself. Is this work worthy to stay a short term campaign, one that lives and dies in the span of a month? Or is this something that contributing to the DNA of your church, adding to or altering our perception of ourselves or the people who we interact with? Here’s a slightly cringy example: naming a ministry after another that was popular at a hip young church in Florida seems cool… except you aren’t in Florida. And let’s be honest, the people waaay down in Florida had a vision for that ministry that’s not your own. The people interacting with that ministry don’t go to your church. They chillin’ in Florida. You aren’t in Florida (unless you are, in which case disregard this). So what makes you think that it’s the right fit for your ministry? Ah, yes. Because the name is cool? *Disclaimer: we’re like, totally cool with ministries in Florida. What’s good, CoastLife?! It’s time that churches were a little braver. This is a slightly different take from all the “we need brave Christians in the world” thought pieces. At Yellowbox, we think that we need braver creatives. Braver church teams, who feel empowered to inspire the world around them in a highly personal way, not the cookie-cutter approach that we’re sold on Instagram. Being brave is simpler than it sounds. You might get the vibe that being brave and courageous means standing out above the rest. That it (for some reason) is reserved for the best of the best, a luxury that we see from extraordinary people in extraordinary circumstances. But it’s not. Being brave means simply embracing what God has in store for you. And He has a vision for you that is distinct from all others. So have you asked God to send you a vision for your church? It’s good to be inspired and propelled into forward-thinking by the success of our fellow pastors, but not at the expense of failing to tap into the most creative being that ever was, is, or will be. God commissioned Adam to name all the animals of the earth, fish of the sea, and the birds of the air. Surely we can come up with a name for a young adult ministry other than “The Bridge”. No shade to all The Bridges happening on Wednesday nights out there! We see you. Keep thriving. Be you. 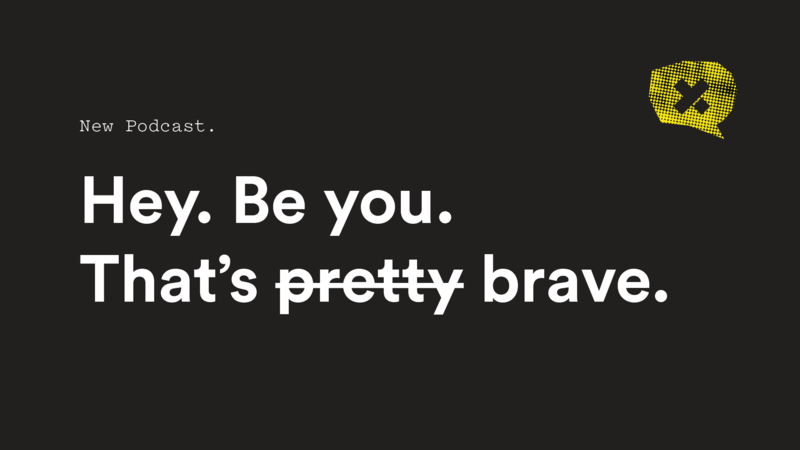 You’re pretty brave anyway. Let’s be honest, you’re a church planter. You’ve got what it takes.